Records have tumbled as Serena Williams clinched her sixth Miami title, the latest after a trademark come-from-behind victory over Maria Sharapova. World No.1 Serena Williams scored a comeback victory over Maria Sharapova to clinch a record sixth Miami Masters title. 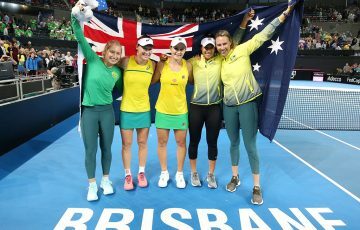 Williams also chalked up her 48th WTA tour victory with the 4-6 6-3 6-0 win over world No.2 Sharapova and became the oldest women’s champion in the tournament’s history. 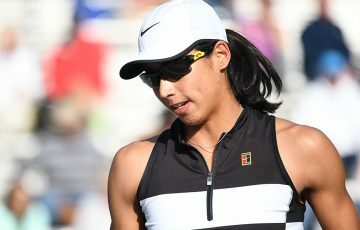 The powerful American is four months older than 1986 champion Chris Evert, who was 31 years and two months when she won. 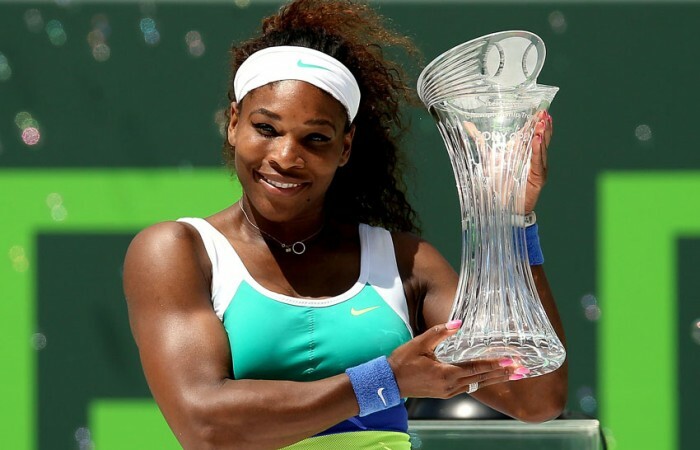 Williams had shared the all-time Miami women’s title mark with Steffi Graf before adding to wins in 2002, 2003, 2004, 2007 and 2008 on Saturday. 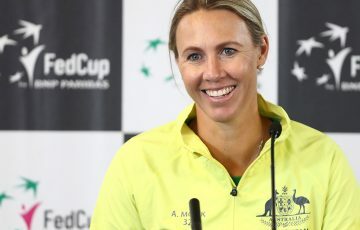 The 15-time grand slam singles champion also became just the fourth woman in the modern era to win the same event six times, joining Graf, Evert and Martina Navratilova. “It’s so good to win number six,” Williams said. 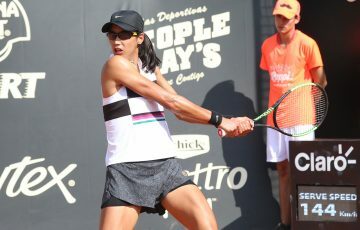 “Start of the tournament, I definitely didn’t feel like I would be here, not with the way I was playing. But it definitely feels good to go through everything. 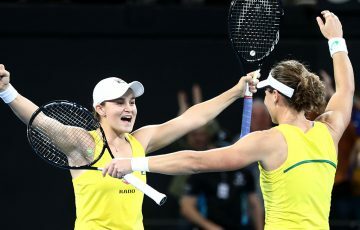 It was the 11th match victory in a row for Williams over Sharapova, coming in their first meeting as the top two players in the world rankings, and gave the 31-year-old a 12-2 edge in their all-time rivalry. 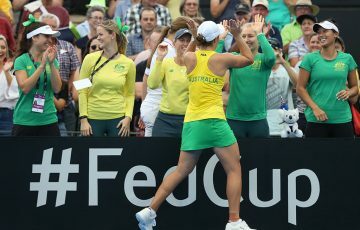 Sharapova took a set off Williams for the first time since 2008 and was up a break in the second set before the reigning Olympic, Wimbledon and US Open champion roared back to break the Russian in her last five service games. “I certainly put myself in a much better position today,” Sharapova said. “I had my chances. There’s no reason why I couldn’t win the match. I was playing, not well enough to win the match, obviously, but it was a step in the right direction and there’s no doubt that we’ll be playing many more times. Sharapova, 25, suffered her fifth championship-match loss at Miami and still looks for her first Miami title after having been denied a 29th career WTA triumph.